The whole art of book designer has been shaken loose from its foundations—there is not doubt about that. 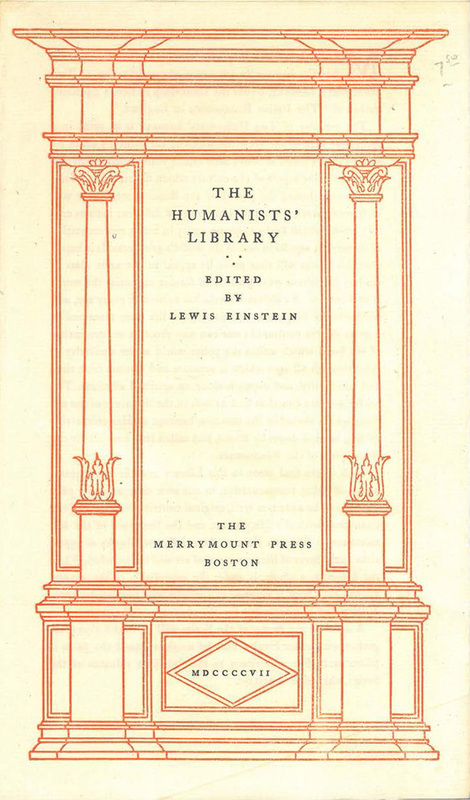 Front of circular for The Humanists’ Library, first series (1907). Printed by The Merrymount Press. Image courtesy of Barry Snider. 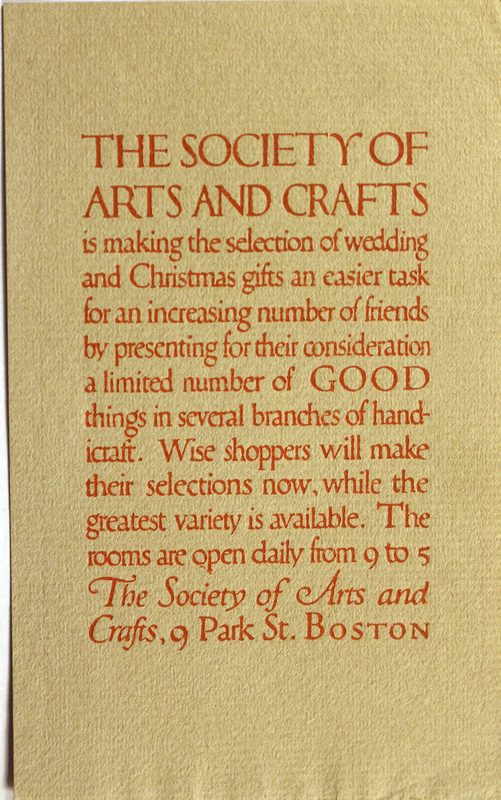 Announcement card for the Society of Arts and Crafts, Boston (1909). Designed and entirely hand lettered by W.A. Dwiggins. The Definitive Dwiggins no. 29 addendum—Where’s Oz? The Definitive Dwiggins no. 29—Where’s WAD? As much as I admire W.A. Dwiggins, I had no idea that he had super powers allowing him to be in two places at the same time. But yesterday I discovered that the Twelfth Census of the United States (1900) records him as living in Chicago as well as Cambridge, Ohio. Cover of Why Talk About It? 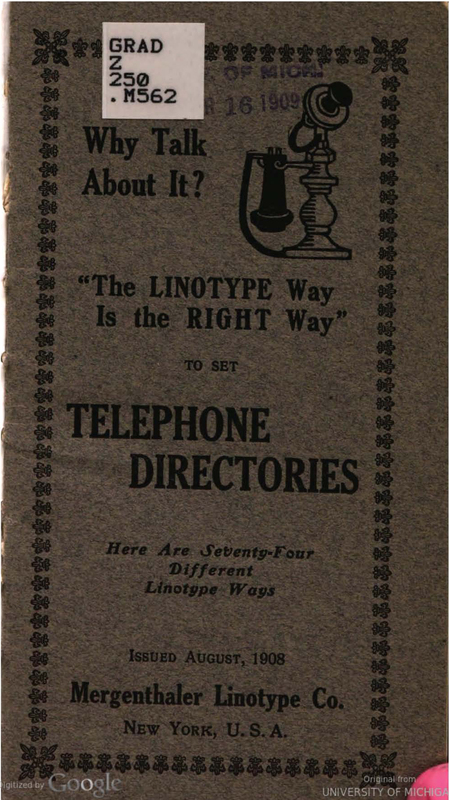 (New York: Mergenthaler Linotype, 1908). As I have already written, much of the illustrative and decorative work that W.A. Dwiggins did for D.B. Updike and The Merrymount Press involved copying and adapting older work. 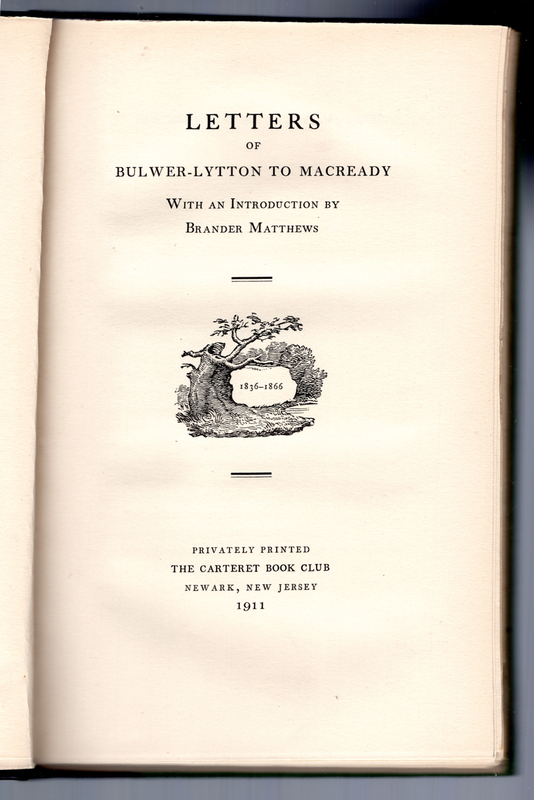 A good instance of this is the vignette on the title page of Letters of Bulwer-Lytton to Macready 1836–1866 edited with an introduction by Brander Matthews (Newark: The Carteret Book Club, 1911). In a previous post on W.A. Dwiggins I investigated the drawings of The Brownies he copied as a child from books written by their originator Palmer Cox. 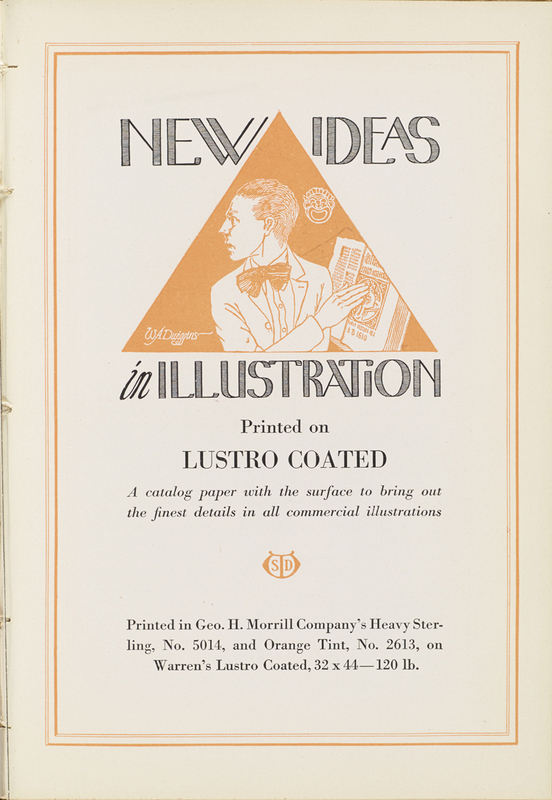 The practice of copying other artists stayed with Dwiggins throughout his entire professional career. Sometimes he imitated a style while at other times he copied a composition in toto or in part. It was part and parcel of the practice of being a commercial artist.